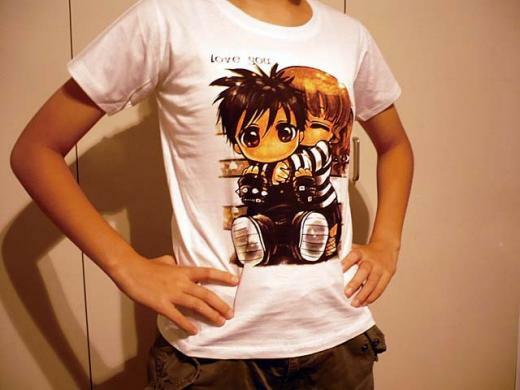 Today, I would like to introduce a very kawaii T-shirt (for kids) to you. 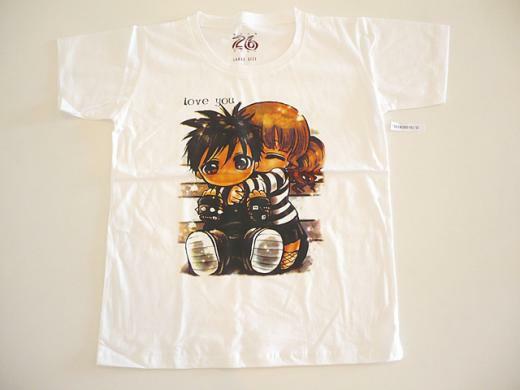 A big manga-like illustration is so adorable, and its texture of 100% cotton feels great on your skin. Also the texture is relatively thin, so it makes you more comfortable if you live in a tropical country or area. As one of the ways of wearing it, I would recommend to wear a vivid color shirt under this T-shirt using its thinness, it will make you fashionable because the vivid shirt like red or pink can be seen through the T-shirt slightly.